Our IEP advocacy services include creative solutions to student services that may not be contained in the school district’s format, and mediation concerning issues related to the IEP. This includes collaborating with the school district to provide a document and plan perfectly suited to the individual needs of the child, and IEP advocacy when the school district refuses to provide an important service. We also handle 504 letters and the implementation of them. 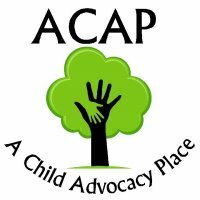 A Child Advocacy Place will serve as advocates and navigate the system for children who are disabled and are not getting the best service. With disciplinary issues, it is often important to have someone who will serve as your advocate. We will attend and help the student prepare for a Superintendent’s Suspension as well as a Principal’s Suspension. A Child Advocacy Place will review documents associated with disciplinary actions and will advocate for a fair resolution. Our Company will also attend suspensions in New Jersey as well as accompany the student to meetings concerning behavior issues. We will make recommendations regarding a resolution that is beneficial to the child’s development. Many general student and educational issues require an advocate who can objectively assist with the situation. For example, we will serve as an advocate for a child that is bullied and needs assistance resolving the problem. We also deal with issues regarding privacy in the academic environment, as well as the competency of academic instruction. A Child Advocacy Place will assist your attorney with the educational issues regarding legal action and a school system. We can advise on the educational language and laws, as well as serve as an expert attorney witness. A Child Advocacy Place can also serve as forensic educational consultants to determine the flaws and problems in a child’s educational program.